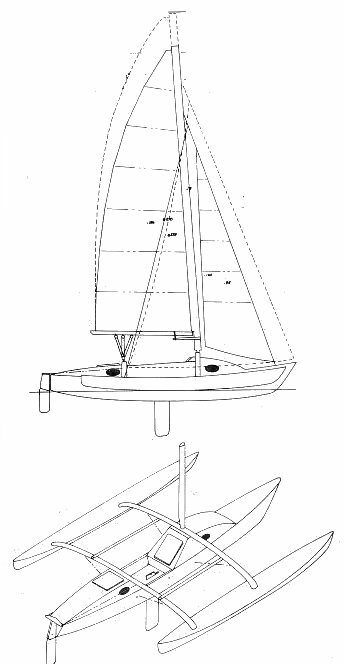 The original Tremolino was designed to use the rig and hulls (for the akas) from a Hobie 16. Shown here are a portion of the plans for the home builder. Later, another model, the T-Gull 23, was offered with a similar main hull, but with larger, folding, (non-Hobie) floats.